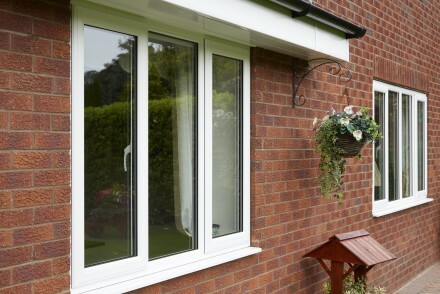 Double glazing is designed to reduce the amount of heat lost from your home. Whilst there are a number of double glazing benefits, the main advantage is that it will make your property more energy efficient – helping your home to enjoy a comfortable temperature all year round. It will make your home look amazing: Upgrading your windows to energy-efficient double glazing is the easiest way to modernise any property – transforming its kerb appeal from drab to fab. No more temperature extremes: Double glazing will help to regulate your home’s interior temperature – so you’ll be warmer in winter and cooler in summer. Save money on your energy bills: Replacing old windows with modern double glazing will help to reduce the amount you spend on heating your home. Reduce energy usage: Less draughts and better temperature control means there’s less need to turn on the heating so your energy consumption decreases. Help the environment: By lowering your energy usage, your carbon footprint will also be reduced – which is good for the environment. Minimise condensation: Misted windows and condensation can be a problem, particularly in older houses, where it causes mould and mildew which can lead to health issues. Double glazing will lessen the build-up of excess moisture on the inside of your windows. 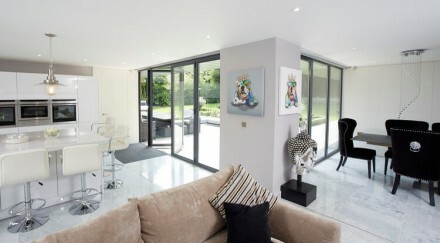 Easy to maintain: Wipe the frames with soapy water every once in a while, and modern double glazing will last for years. Increase security: Double glazed windows are extra strong and will beef up your home’s security, discouraging unwanted intruders and making it more secure. Enhance home’s value and sale potential: If you're planning to move, double glazing is an excellent way to increase your property’s resale value – and give it added kerb appeal. As one of the UK’s biggest manufacturers and installers of double glazing, EYG’s product portfolio includes a wide range of thermally-efficient uPVC and aluminium windows - we also fit stylish orangeries and conservatories on new and old homes. If you’d like a free quote for your home improvement project, please get in touch or call 0800 181888 – we’ll be more than happy to help.